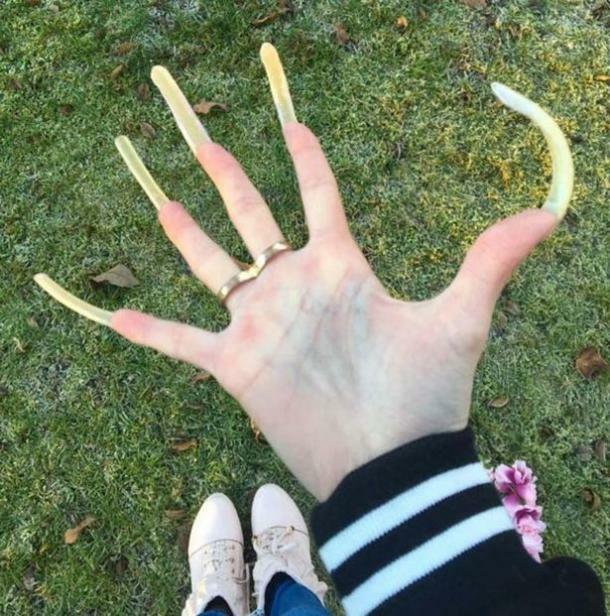 This is what happens when you let your nails grow for three years. Ever wonder what would happen if you just stopped cutting your fingernails? Don’t worry, you won’t have to conduct the experiment yourself because Simone Christina has done it for you. Purposely letting her nails grow out for the past three years, she now has a nice set of talons that are about 6 inches long. So, what about picking her nose? Picking things up? And what about masturbating?! 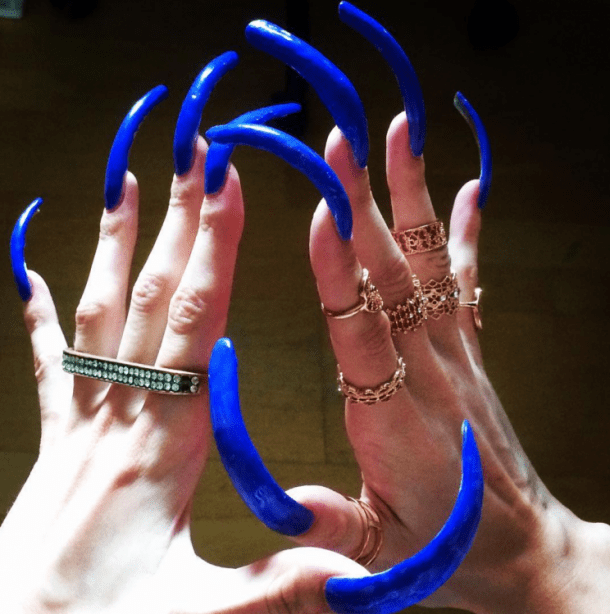 According to Simone, she has a strict nail care regime that stops her really long fingernails from breaking. She takes it pretty seriously, too. She said, "I use two coats of nail hardener. For the first coat I use XXL Nail Thickener by Essence [£1.79] and for the second coat, I use Ultra Strong Nail Hardener [£2] also by Essence. It's also helpful to apply cuticle oil like every second day." If you thought that was a commitment, you may be pretty shocked to hear that Simone spends a whopping THREE hours painting her nails. What?! It’s hard for me to dedicate even 15 minutes to beauty and personal hygiene. 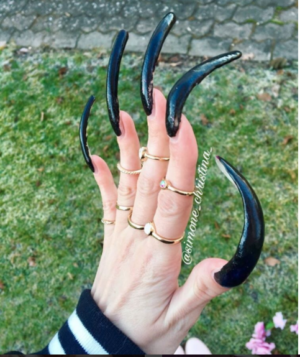 How does this lady have the time to spend just on her nails alone? As you may have expected, having six-inch nails can be quite a hassle. Are you wondering about the status of her toenails at this point? Don’t worry, they are on their way to becoming just as epic.